Seasonal Scratch Kitchen and Craft Bar serving farm to table eats, 42 craft beers on tap, 250 bottle beers, 100+ wines and a craft cocktail selection that's nothing less than phenomenal. We have multiple options for private groups of up to 300! See www.brugrill.com for a brief video on our private event incredible skills! Live entertainment on Friday and Saturday nights. See www.brugrill.com events calendar for details. 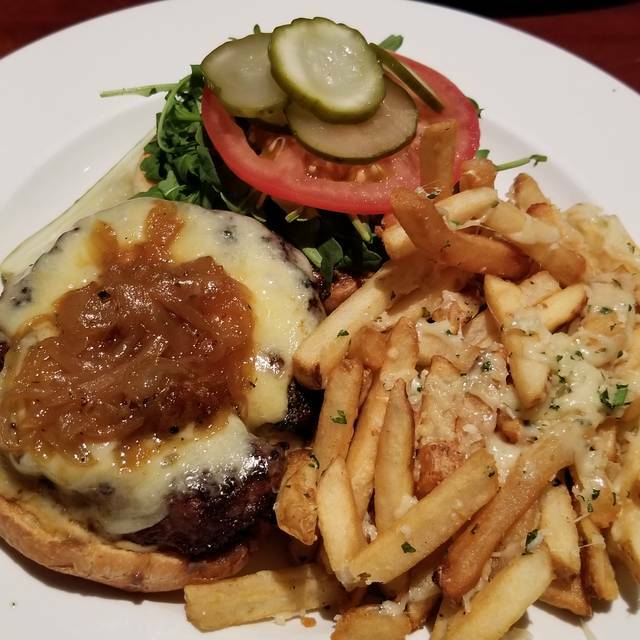 The All American Burger + Fries + Craft Beer Special! All American Burger, fries and your choice from our lunch special select craft beers. Ask your server for our "Now Tapping" list! We had a dinner reservation for 4 and got a quiet booth as requested. Our server was great, and the food was delicious! We were there for brunch, and the food was good. My only complaint would be that is was extremely hot in the restaurant. We try and get to Bru for brunch once a month or so. We always ask for Alise and the experience is even better for it. She adds such a joy and fun atmosphere to dining. Great place for brunch. Omelettes could be improved, benedicts are pretty good. It could also use a little more staff over the weekends. Overall great place, enjoyable atmosphere, cool live music, great beer selection. Definitely coming back. we just made last minute reservation, and so glad we chose this restaurant. There were live music and the food and service was great and friendly. We haven't been here for some time so decided to come back for brunch. I made a reservation but I was about 5 min late. The host was on the phone when I arrived alone with another older couple. He continued to talk on the phone for at least 10 min. I think he should have called for another person to seat the two parties. Food is good not great. The bottomless champagne & Mimosas ($11) was one of the reasons we were there. Always the best. Had the BRU burger with egg. Parmesan and Garlic fries. 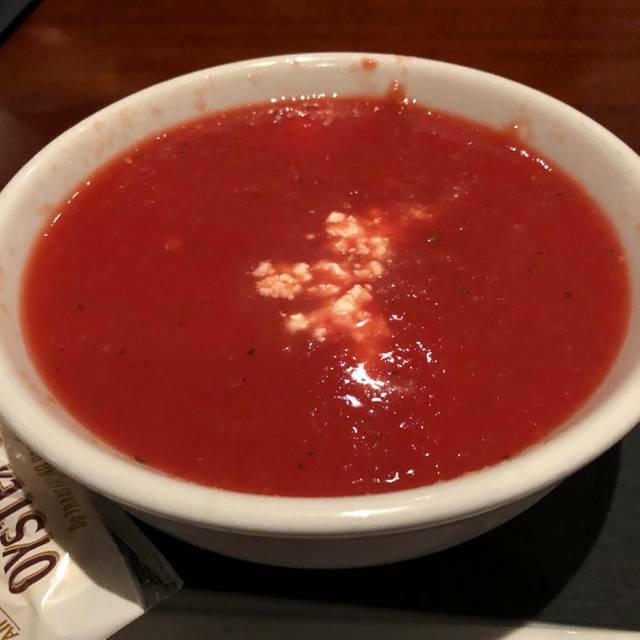 Watermelon gazpacho was a chart-topper!!!! Last night was my first visit to Bru. The rest of my girlfriend's family frequents this lovely place. We were greeted with a warm reception and the host confirmed it was a dual celebration. The service was spot on and my beat salad starter was excellent. I had their signature meatloaf, yes, I love meatloaf. Amanda had the salmon, her Mom had their specialty burger and her Dad and brother had an amazing sausage platter served beautifully presented on a wooden platter, nice touch. We all loved our dishes and then the server bought over two complimentary desserts for our dual celebrations. Great dinner for sure! Even as we were exiting the parking lot, the front desk called me because we had left a sweater behind. BRAVO. We will be back for sure. Cheers! Evan is a truly exceptional server. Can’t wait to go back! Cauliflower side was not that great. Bread pudding dessert was delicious! It was great, we had been there for brunch and went back for my fiancé’s birthday and it was just perfect, great food and beer ! Bru has a great atmosphere and large regularly updated beer menu. The food is 15-35 a plate ranging from salads and pizza to seafood and steak. I would recommend this spot for a beer and some apps though. 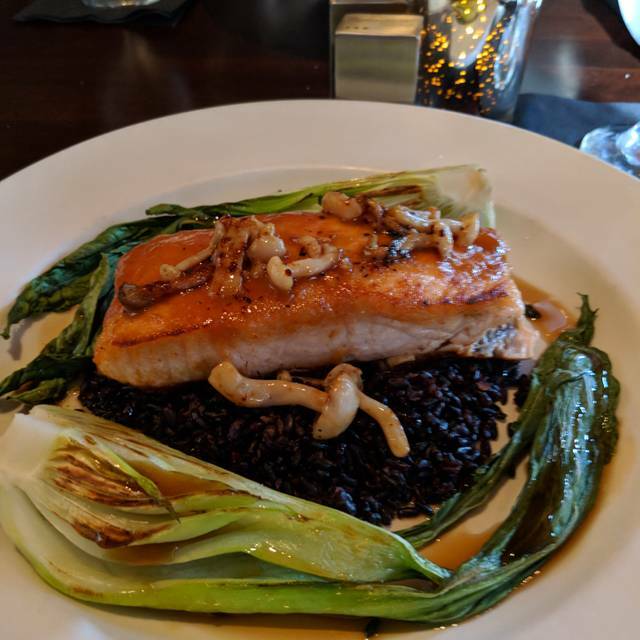 We had excellent food, drink, and great service! Yes, I would go at the drop of a hat. One of our favorite places. Bru Grill never disappoints and is always welcoming and wonderful. Brunch food is great!!! Service a tad slow and disjointed. Loved the live music but it was a tad too loud to hold table conversation. We had a resvervation and asked for a booth but they would not give us a booth. We asked and were told no. There were booths open but they gave us a table in the middle of the room in the sun and it started to give us all a headache. We asked to be moved and ended up outside by ourselfs and had the worst service. We think it will be a cold day in hell before we go back to this dump. Screw them !! How could you have a resv and not get a booth? The more I think about it the more I know I won't be back. Our server seemed to not care at all about what we might want. We had the impression that this place would be good. It wasn't. This place has a great menu , food was awesome. Server wasn’t as attentive as my prior visit. Appetizer was brought without giving us plates. Are we suppose to just use our hands to catch food that drops lol . Also I asked for no communal seating or a booth and both request were ignored. 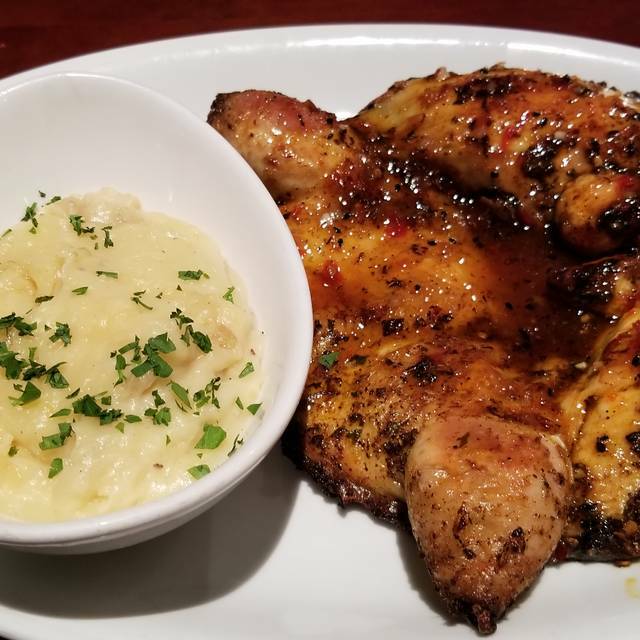 Overall I enjoy this place the food is good and the place itself is very nice but where I was seated it was very loud and noisy was hard to carry a conversation with my wife. We had 5:30 reservations on Friday, July 13. The bar was hopping, so we were happy to be seated in the back at a booth away from the noise. The service was excellent! The four of us raved about our meals which included the prime rib, steak, sausages and a spinach salad. We never felt rushed. It was a pleasant experience. Will definitely return. A delicious outing. Food great, Service also good. We arrived at 5 on Friday hoping to get to sit in the lounge. However, the tables were full. Part of the problem was that several tables are pushed together, minimizing the opportunities for 4 people to sit together. But overall experience in the restaurant was first rate. We had the Tuna Sashimi, pesto shrimp pasta and the sausage . Everything was delicious! Pretzel bread was unsalted and more like pretzel toast. Salad had blue cheese as largest percentage ingredient which overpowered everything and virtually no greens. French Onion soup was overwhelmingly salty. Pizza cheese was congealed and dough flavorless. 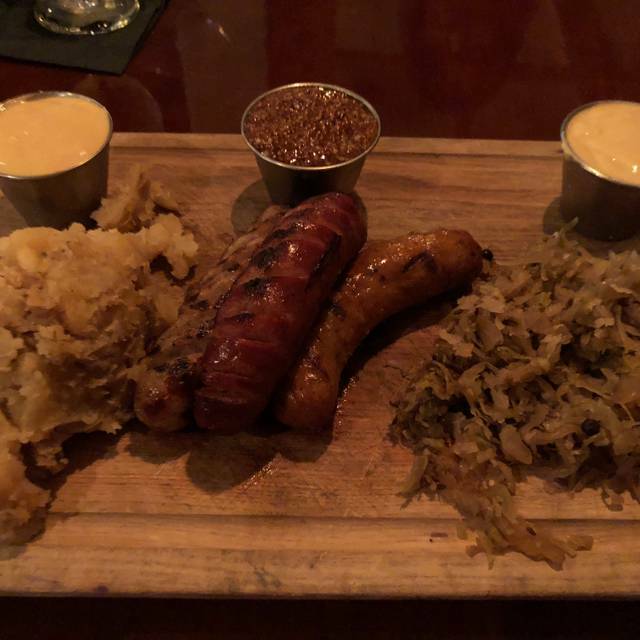 Sausage plate was good. Great place to meet and hang out with old friends and new ones, while enjoying savory food! Definitely stepped up the “craft” cocktail part of the bar offering. Food was (as always) outstanding! Nice brunch menu. Nearly empty at 10 but full by 1045, so make reservations for sure. 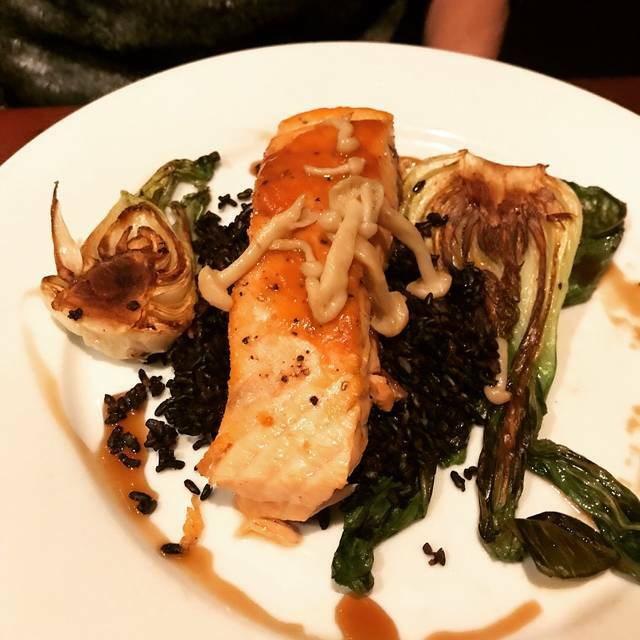 The food options are pretty healthy and the wine selection is very affordable and tasty. A nice experience overall. The summer fest (crab, shrimp and sausage) was absolutely wonderful as it was our last time there. Our server was great. I'm sorry I didn't get her name to give her well deserved kudos. Our compliments to the Chef! 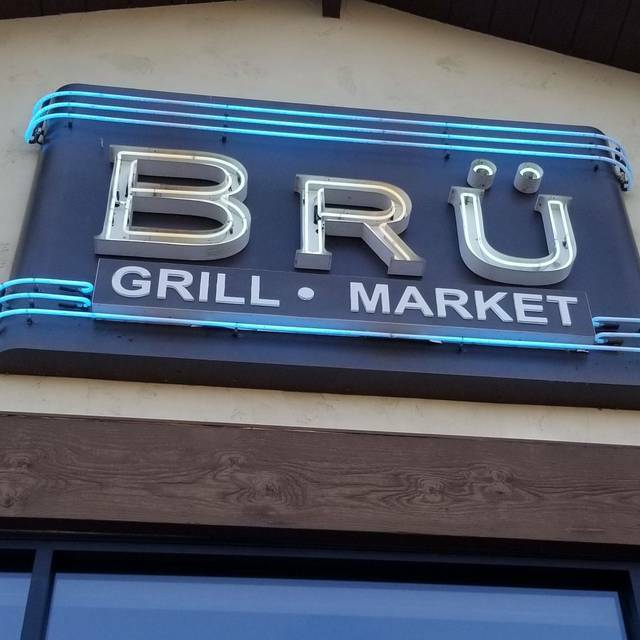 Every experience at Bru is terrific! Taylor was a terrific server---Bru servers are the best. The food is amazingm, the bread pudding with gelato is to die for, and drinks are always special, too. That's why we go back again and again! Excellent food and great service in a fun atmosphere. Our waiter Kyle was fantastic! He did is job above and byond! He made the whole experience fantastic! I love this place! 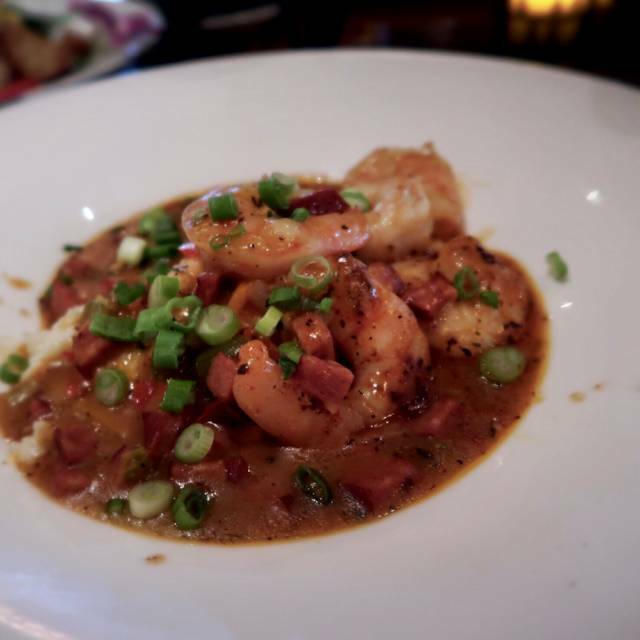 Great food and amazing service! Their live music is so much fun and their beer and wine lists are always on point! 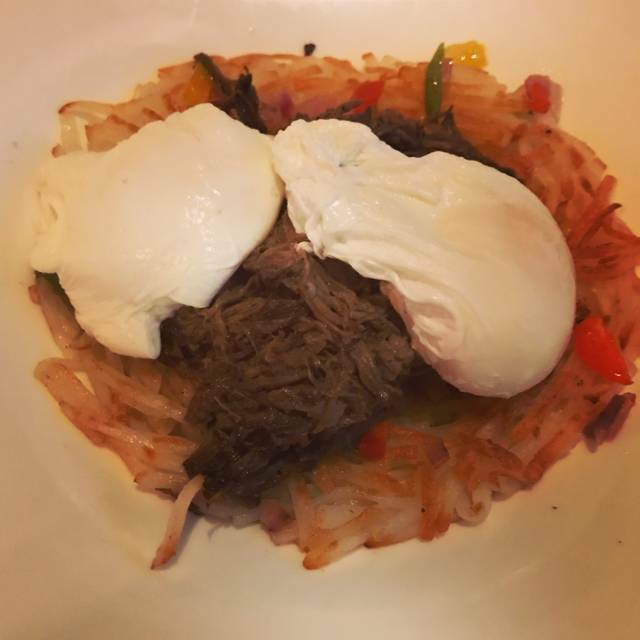 Went for Father's day, I was disappointed that they still had the brunch menu at 2pm, not much to choose from, I got the chilaquiles, they weren't so great, tasted kinda sour. Their dinner menu looks better, I might have to come back and try it out. Brunch was definitely not great, I'd rather got to Mimi's Cafe. Father’s Day Brunch - our server was sweet and my 9yr old was enamored with her because she was so nice. The food was great burger, fried chicken and waffles. I had the Tease and my wife had a Bloody Mary. Had the Prime Rib on Father's Day. Flavorless and a really cheap cut of beef. For $30+ you'd think the quality would be better. As it always is---awesome! Gabby was our server, and she made it all the more special. The food was very good, the cocktails delicious and the service on the mark! We were there for Brunch with friends. We had a wonderful meal a delicious mango mimosas. We will be back.